We don’t have as many bands as we used to, but right now there’s a lot going on in the music outreach side of things and we wanted to keep you in the know ☺. First is 3Union, composed of 3 staff kids who are all grown up. They used to tour as part of their parents’ family band, but have been leading the way in recent years. Mom and Dad continue to minister with them, most recently in Australia. This has seriously been one of our favorite tours ever! Getting to interact and share the love of Christ with the youth of Australia was an incredible experience… By the end of the tour, 2588 students heard the Gospel with 551 making decisions to follow Jesus! To Him be the glory!! Pray with us now that God would give the chaplains at the different schools wisdom and perseverance in following up with these new believers, and that they would help them grow in their relationships with the Lord. Next, Keynote has had a partnership with India and has sent bands to the country in years past. A team in India approached Keynote earlier this year with an idea of starting their own music ministry. Keynote has a plan over the next 18 months to help resource and empower their team to help get this new ministry off the ground. 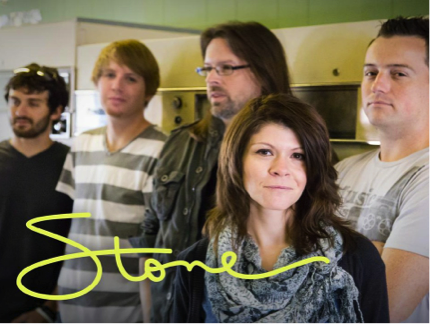 The band Stone: Teresa Touma, Jake Brothers (volunteer), Scott Naylor, Trevor Junga (former Summer Project student), Chris Loos, and Shawna Paine will be heading over September 27- October 22 to help with the first phase of this process. Our hope is to model what we do with some outreach concerts, help recruit some local musicians, and facilitate some basic Keynote training for the ministry team there. Please join us in praying for God’s guidance for the team and for great spiritual fruit to grow during this tour. This entry was posted in Prayer Letters on September 30, 2013 by Liesl.